Are you struck by the simple beauty of nature? Do you love the sound of your golf club hitting a ball? 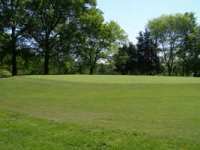 Ruth Park Golf Course combines the gorgeous landscapes just west of St. Louis with the timeless pleasures of golf. Spend an afternoon with us and enjoy your favorite pastime with friends or as an organization. Golf outings are an important part of our business, and we are dedicated to providing a quality golf experience. For detailed information or to book a tee time, please click here. How can I reserve dates for a tournament?